Wearing animal prints used to scare me, it was the same feeling as wearing a bright colour, loud and in your face. However, I absolutely love them now and have seen so many lovely prints on the high street, my favourite being the leopard print. I hadn't realised before, but I actually own a few animal print things, mostly accessories. 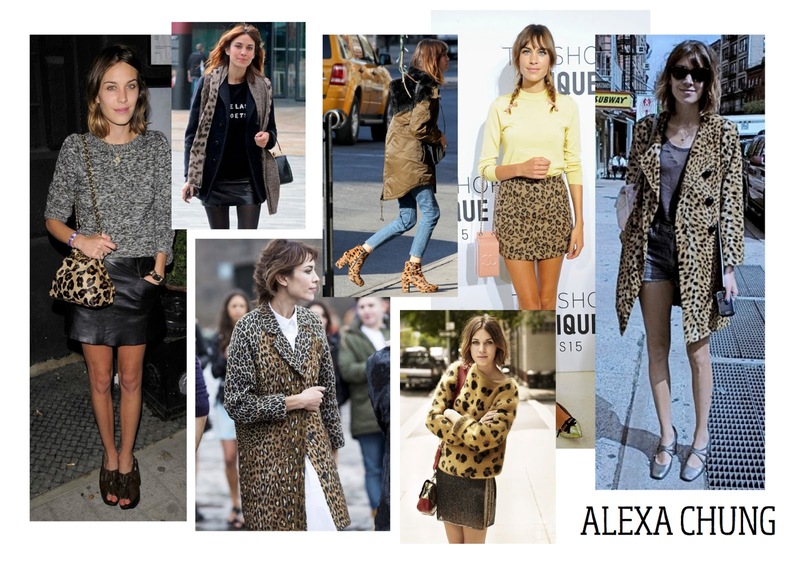 Animal prints pop up on the catwalk year after year and I can safely say a leopard print is an essential in your wardrobe! But this doesn't mean you can go all crazy, too much can come across tacky and literally looking like a leopard! 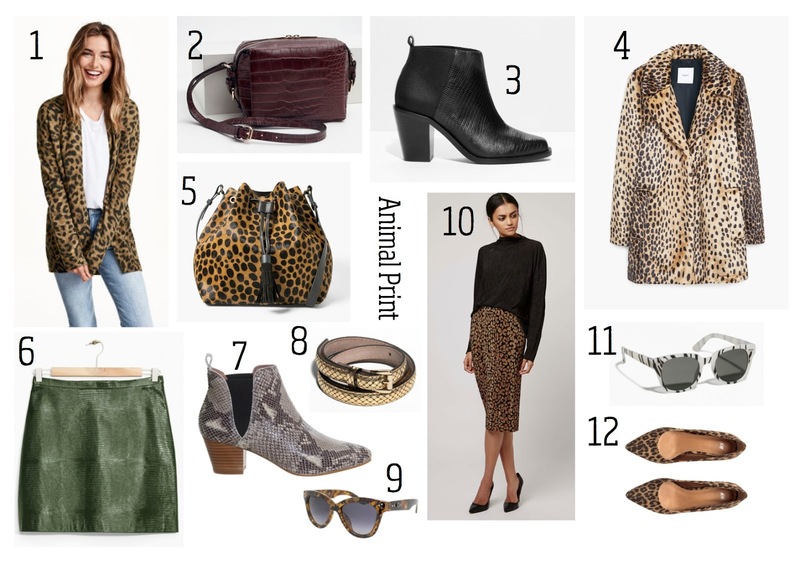 The leopard print is best on accessories like bags or shoes, but I do love a leopard print faux fur coat or even a top or dress if it's in a nice print (not to be dressed altogether). Another favourite is the reptile print, it looks amazing on shoes/boots and bags and is more discrete for those who feel leopard print is a bit garish. Other popular prints include zebra, cheetah and tiger. There is one celebrity I absolutely adore and that is Alexa Chung, she looks amazing in anything she wears and I must admit I have a slight girl crush on her. She is one person that wears leopard print to perfection in my opinion. Images below are from Pinterest, check out my animal print board for more inspiration.